kanumoni held the end of the chadar and with deft, quick fingers twisted the material. in an instant, a series of three triangular folds fell across the edge of the fine white cotton with motifs in black and red, the tassels bobbed playfully. she tucked the point she was holding from where the pleats started, into khushi’s petticoat, over the mekhela. then she leaned closer to take the rest of the chadar around khushi, letting the other end fall over her left shoulder in a pallu. khushi watched her completely absorbed. in lucknow and delhi, no one wore mekhela. she’d never seen one before… and it was so pretty. “baideo, see, do you like it?” kanumoni asked, still adjusting the back, making sure the mekhela was level and not dragging on the floor. khushi had turned back to see what kanumoni was doing. her eyes sparkled, she grinned… she was in a mekhela! she’d always enjoyed dressing up, and this was a whole new kind of dress! like a saree. but, and this is what tickled khushi no end, not a saree. she wondered what jiji would think of it. maybe she’d get one for jiji… and mami ji… and also amma. bua ji? maybe not. khushi frowned as she contemplated how many mekhelas she’d take back home. “baideo?” kanumoni’s voice broke into her thoughts. khushi started and then turned swiftly. the mirror was right in front of her. she looked at herself and began to smile. kanumoni had to smile at that. “yes, baideo… very beautiful,” she said. she’d never been asked by a guest if she could try on a mekhela. kanumoni had gone running to bahadur to determine how to tackle this. bahadur had spoken to salman and he’d suggested baideo wouldn’t mind it if kanumoni got along one of her mekhelas, so she had. she’d decided white would suit her very fair skinned baideo. she was pleased she had an almost new one for her. “i am so happy rahena ji decided not to go out today!” said khushi talking fast, in her mind she thought, thank you, devi maiyya, for saving me from that laad governor wala game. she really was not looking forward to golf even if she thought salman ji’s mother was a nice lady. “thank you, kanumoni ji, aap ne hume kya shandar naya dress pehenna sikhaya!” she bestowed another wiide grin on the young girl, eyes shining bright. “aap ke assam mein sab kuchh kitna achha hai… that cup of tea in the morning from your own garden with ginger and cardaomom, haye mazaa hi kuchh alag hai! bua ji kitni khush ho jaati… yeah! i’ll take tea for bua ji, yeh achha rahega… ” she turned and pirouetted before the mirror looking at herself from different angles. “i hope rehana ji is all right! wonder why she cancelled?” khushi frowned suddenly, even as she examined her reflection. “bandh, baideo…” kanumoni said in a low voice. “what? bandh? you mean nothing is working? here… in assam? why?” khushi was surprised. a bandh or a shut down of all services happened once in a way when there was some trouble, but here in this peaceful place? “it’s always like that here. something or the other… always, baideo…” kanumoni’s voice was growing smaller, a sudden heaviness about her expression, making her look older, a little tired… khushi watched the innocent face take on a different air. what was the matter? “two managers in jorhat gardens were kidnapped last week… they say the police caught many people from the area, the other party has declared bandh…” kanumoni explained. “kidnapped? from where? why?” khushi was nonplussed. she couldn’t believe anything like that could happen here. “not far, baideo… they kidnap all the time… ask for money… sometimes ask for other things… no one can catch them… sometimes they kill also…” kanumoni sounded sad, almost helpless. when the feeling came and gripped khsuhi, she had no idea what it was. “arnav ji!” her mind grasped his name and she wished she could hold him, keep him safe. keep him close. “aman, see my calendar for the next six months and tell me where can i get a clear ten days free…” asr sat outside in the lawn under the umbrella, his laptop and papers lay before him on the table. his brow furrowed as he listened to aman, his lips were pursed. he wore a khaki shirt over slim fitting black trousers, his neatly brushed back hair was still wet, he’d gone for an early morning swim. his eyes looked alert. salman had called earlier to tell him about the sudden bandh. nothing would be open today across upper assam. it wasn’t possible to get any work done. salman hadn’t been expecting asr to be quite so calm about it though. he had prepared for ire, but there was nothing he really could do, even the golf club would be closed. salman was surprised. he didn’t know his boss’s mind had been working from early morning, ever since he’d woken up and it had struck him simply and clearly… yes, mooga could be done. a new project, a new fabric, a new client, nothing got him more bristling with energy, rearing to go. no bandh was getting in the way of that. he had to talk to aman first. then he’d call lavanya… bring in jean pierre maybe… or was someone else more appropriate for this line? 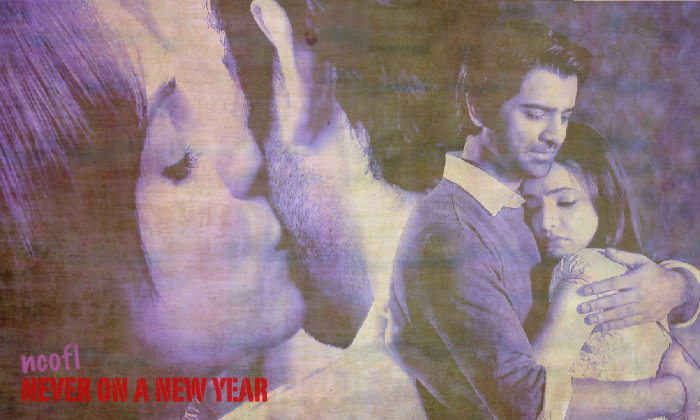 he knew he had to get the ten days asr wanted. failure was not, as they say, an option. aman took a deep breath and a slow smile started to brighten up his face. he was beginning to like these challenges he realised. working with asr all these years, was he getting to be a bit like his boss? aman almost trembled at his own audacity for thinking that. then he started looking through asr’s calendar. he would find those days. between blue sky and verdant earth, the golden fabric spread out, sun rays touching it and making it glint even more. asr felt the urge to make, to create, to get immersed. as the swathe of mooga floated down, he saw her eyes. he blinked. he hadn’t heard her coming up from the house. the fabric fell gracefully and settled near her feet. he would have asked her when she had come by perhaps, he would have certainly picked up the silk before the grass stained it, but there was something in the way she stood there, just looking at him, her eyes glittering, an intensity about her… he stared back silently. without it even registering, he’d started walking toward her he noted. his arm reached out… a strange fear gripped him. what if khushi disappeared, what if she wasn’t there one day. he didn’t ask himself why such bizarre unfounded absolutely uncalled for thoughts came and shook him. his hand wasn’t steady when he put it on her shoulder. he gripped her hard. she stood there still. her breath was racing, she heaved a little every time she exhaled. he began to put his arm around her, bring her close, she looked so lovely, he wanted to hold her. “nahin!” she whispered. he frowned. “khushi?” he asked gently as he drew her near. 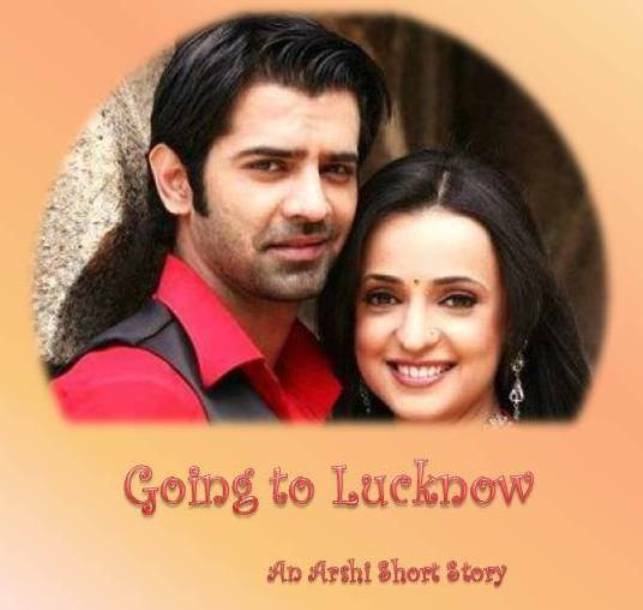 “nahin… nahin nahin, arnav ji…” khushi said shaking her head, tears mingling with utterance. “kya nahin, khushi?” he felt this inexplicable desire to hold her tight and be with her… nothing else. “nahin… hum nahin sah sakte… aap… nahin.. aap assam mein kaam nahin kar sakte… hum… hum.. jo bhi ho jaye.. no, arnav ji no…” khushi was shaking her head, he movements were jerky, her words incoherent as they tumbled out. the only thing he heard was the anguish in her voice. he jerked her toward him, albeit not with too much force, she was looking fragile. what had happened to her? “come here!” he cajoled, his eyes looking sombrely into hers. “khushi?” he folded her in his arms, burying his face in the crook of her neck, her soft, thick hair with that elusive fragrance caressing him. he kissed her lightly on her shoulder blade, then rested his chin on her head, cradling her. 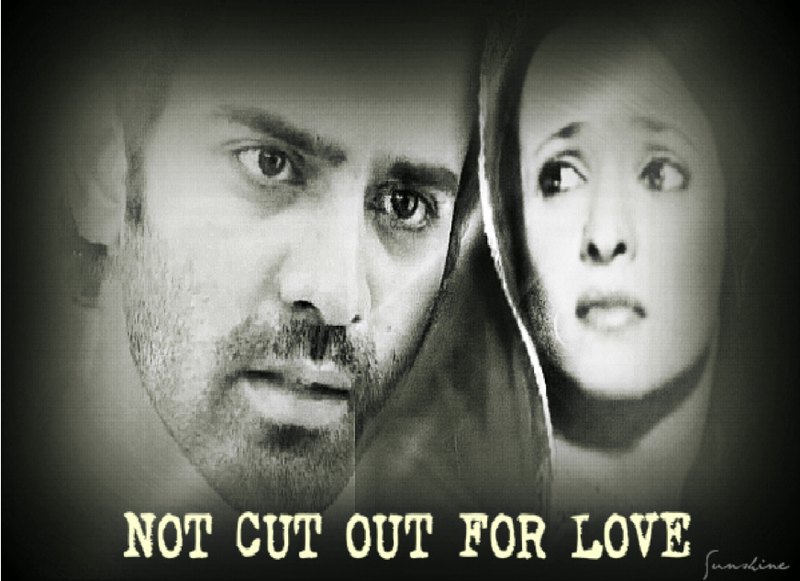 “you heard about the kidnappings, did you, khushi?” he asked at last… his mind had pieced together her words and the look in her eyes, the fear in her voice. he realised she must have heard about the managers. he hated the thought of her being so badly scared. “ow!” the pain was sharp near his chest. 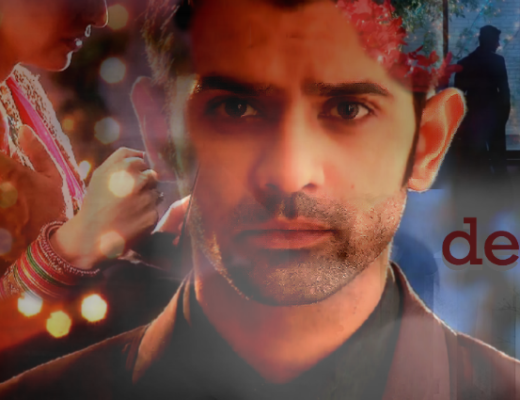 khushi had just pushed him hard and was standing away, seething… looking at him angrily, incredulity in her hazel eyes. “aap jaantey the? !” she said, her voice rising. he wondered why she was so angry. she was crying by now, he made a move toward her. but she had already turned and walked away. her sobs echoed around the garden. the mooga lay there on the grass. arnav singh raizada’s eyes darkened to almost jet, the brown lost despite the sun. “dammit!” he swore under his breath. he sat down on the wrought iron chair and tried to ignore what had just happened. khushi would come around, he had to get this work done now, no time to waste really. and anyway, she was over reacting. why did women always behave in this unreasonable way?… and why was she looking so beautiful? he felt like getting up and going to her right then. she had been wearing a mekhela. where did she get it from? what was he doing? sitting here and thinking of his wife’s mekhela. he closed his eyes and inhaled long and deep, his diaphragm expanded as air filled his lungs. he opened his eyes and picked up the laptop. he would carry on working. he had to. the most terrible agony writhed in her. she could hardly breathe. why hadn’t arnav ji told her? and even if he had… how could she ever let him come here on work? no.. she wouldn’t… she wouldn’t. it was too dangerous. there were people disappearing all the time.. what if… what if.. arnav ji… no. she couldn’t finish the sentence. the barrage of apprehensions and fears suffocated her. she lay back on the sofa in the room and her body went limp as her defences came up trying to save her from the onslaught. she began to blank out. just before she drifted off, words she never believed she could say went through her mind. a man sat absorbed in his work. his eyes moved over numbers and figures, his fingers were sure and fleet on the keyboard. a bale of golden silk lay beside him. she took off her mekhela slowly. her arms felt leaden, her legs seemed weighed down with stones. most of all her heart. oh what wretched heaviness was this? 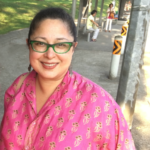 she picked up her plain white churidar kurta with a little red edging and put them on. it was almost evening. where was arnav ji? her body jerked, bludgeoned by a dark furious worry. they are the most unnervingly riveting couple ever. at my age you’d think good sense would prevail, but where’s the time or even need for that. never thought i’d write fanfic some day, take a look at me now. arnav and khushi, asr and khushi ji, what fabulous memories. 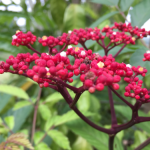 a short terse chapter… sorry to leave on a difficult note. i will update on monday. many apologies to ktothem, asli duniya has been truly zalim, i couldn’t get to write on saturday. see you all soon. and thanks a tonne for reading never on a new year. Poor khushie ,she figuring that there evil hidden beneath the layers. Hope Arnav can calm her and reassure her that he be safe. But she not worried about her safety .hope the Assam trip gets done with no mishaps. we live in such scary times, i grew up in assam, part of my life, i love it, and yet things do happen. i wonder what a loved one should do in such a situation… poor khushi, yes… and yeah, she isn’t thinking of herself at all, that’s so trademark kkgsr, isn’t it. she is not irrational as you say, she is instinctive yes… she loves him too much to think too clearly about this. see you and thanks. yeah, it’s a messy moment… the very emotions that make us love, perhaps sometimes make us do things that aren’t really right. let’s see what comes out of this. thanks, ranogill, great to see you. I’m really scared now after reading this update. Khushi’s intuition can’t be wrong. Arnav is her soul mate, she loves him like her life. And Arnav ‘s weariness for Khushi also was very normal. I googled mekhela. It’s an attire between saree and lehenga. Khushi must be looking very pretty in this outfit. No wonder why ASR was mesmerized to see his pretty lady in traditional Assami attire. When he was alone he also was thinking about her, he was worried as well. Why he was thinking like that! Is it the sign of their anticipating separation! Oh no. The place is not safe at all. I think they should leave this place before any harm happens to them. hi sohara, don’t worry, nothing terrible will happen… and if it does, we can handle that, right? 🙂 mekhela is a simple dress. but oh it’s pretty. the folds that fall over the pleats of the skirt look so pretty. and assam has fabulous weaving traditions. i grew up in assam, always loved mekhela… was fun to see khushi in one. i think asr loved it, though nothing registered in an overt way… i am updating by monday. see you. kuch nahi hone dena, indi. pyar mein kushi kam aur dard zyaada hota hein. phir bhi sab lok pyaar karte rehte hein. Love attracts everything into it just like an insect is drawn to the fire. “pyar mein kushi kam aur dard zyaada hota hein. you cracked the code, anna. khushi did kind of over react. if assam was that dangerous as she assumed then there wont be any civilization. hi shubhangi… thank you so much 🙂 yeah, when it comes to someone we love, it’s hard to calibrate reaction… i will update soon. see you. That’s what your writing always is. The emotions, the feelings, your Arnav… and now your Khushi! Loved her reaction! There is no logic or over reaction where love is concerned… A mere possibility of threat or danger to the loved one can and should stop all logical thinking. Loved how attuned he was to her state of mind. He didn’t need to ask… He knew why she was upset… That was the only thing the made sense in face of that panic, that pain. But he is going to be all man now… isn’t he? Sigh! He is going to try to reassure her that nothing can happen to him. Please Indi, aap bahut dara rahe ho! Kya karne wale ho aap? ‘a man sat absorbed in his work. his eyes moved over numbers and figures, his fingers were sure and fleet on the keyboard. P.S. I could not agree with you more… They are the most unnervingly riveting couple… and the story… with all its ridiculous twists and turns will always stay my favorite. And it makes me so happy that talented writers are keeping the characters and the story alive… giving their own interpretations. Doing at times what the show itself could not do. I have said this before and no doubt I will say it again, I love your Arnav Indi. Sigh! There is just something about him! thanks for sensing the characters, feeling their inner compulsions, their emotions, and yes… that intensity. she can’t be sane and sensible about him… nor can he about her… isn’t that what this thing about being in love, loving, needing, becoming the other practically in some way that is hard to say in words, all about? 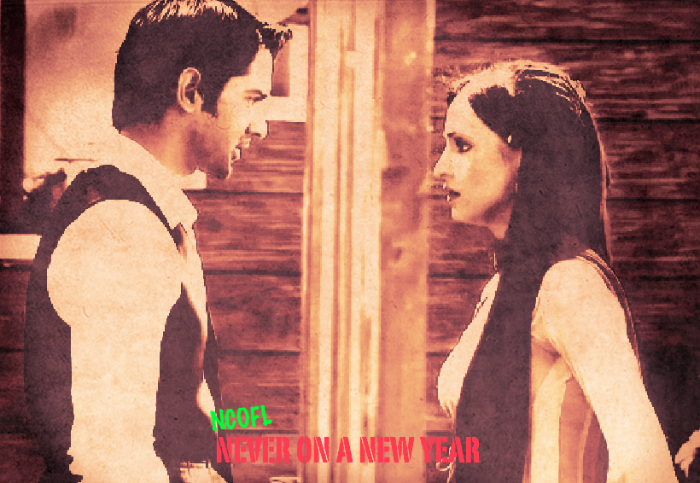 i asked myself what would happened if khushi sensed danger anywhere near asr… and this is what i got. in ncofl.. he had acted completely irrationally and said she had to marry him, because he felt shyam might harm her… though how marrying him would make things safer no one knew… but again, that irrational need to protect. thanks so much for liking the way i write. i fret about writing all the time. there’s a point i seem to need to reach before any real writing happens, sometimes that comes simply and easily, but when the din and cry of my world outside or inside is too audible, aaargh no words come. i so enjoy writing about these two because of that depth in their character. asr is really almost mythic in proportion, when it comes to his traits. how he fails, how he rises above all, and that ache in him, and that ability to fiercely love, sigh. and khushi, an intensely unequivocal innocence in a world that insists you lose it.makes her wonderful, makes her weird, makes her invincible. i shall definitely update by monday. and thank you so much for that gorgeous comment. thanks, nisso… will continue soon. see you. Oh , a cliff hanger. Please keep both of them safe. hi rati… everything will be fine, don’t worry. see you soon. ASR is scared too.. they both are worried for each other.. I am hoping you will not bring separation..
hi sirenmitra, i am glad you felt the emotions. breakdown it is… he is everything to her… and yes, he is worroed too but expresses differently. separation? what? you think the kabooter will allow it? 🙂 see you soon. Beautifully written chapter In di.. very emotional…her fears held on to me. I remember reading somewhere that fear by itself is not important, but it points us in the direction of things that are important. So we shouldn’t be scared of our fears as they are not there to scare us but they are there to let us know that something is worth it. I love this dress and the description….it is indeed a simple yet layered as compared to fragile saree which flows easily . The emotions, the feelings, which Arnav and Khushi are delivering here are showing and reflecting shades of many layers yet … There is no logic for being over reacted in LOVE.I think that way. as Makhela…it is layered emotion with many folds of feelings and one of them is fear of or in other words over thinking of the safety of loved ones…and that can be felt for teh smallest things.. I loved where he can understand without her words were delivering and he knew what was making her upset…He didn’t need to ask and He is going to try to reassure her that nothing can happen to him. thanks, faiqa, beautiful explanations and thoughts. i am so glad you liked the deeper notes of the chapter. khushi and asr always tell an intense story, even when it is all happiness and cute stuff… i love your take on the mekhela. from the time i was a child this dress has intrigued and allured. there’s something so essentially feminine about it… layered, yes. you are tight, when you love there’s nothing called over reaction… you feel things. that’s all. and no matter who says what, you have to deal with it your way. not always wil you succeed at coming to a “rational” standpoint, because the relationship is an extra rational one, one where logic doesn’t really figure. see you soon… hope you enjoy 9.
hi kiran, please don’t apologise… i love it when a reader misses a story… encourages me. glad you liked the update. will pm you next time. Khushi is beyond scared and stricken. It’s as if she has almost lost her mind. The thought that something might happen to Arnav has rendered her numb and perhaps this is one fear that even Arnav will not be able to alleviate. I wonder if there is a solution for this trouble. Arnav is really intrigued by tge silk and would want to finish off with the project. So in this situation it will remain to be seen how they overcome their fears. yes, she just lost it when the story of kidnappings was suddenly revealed… i empathise… i hope you like how they work things out. Simple people:simple life with nature-who should be blamed for making the people’s lives difficult here I don’t know..But only can pray for the peace..
Salman’s mother, the helping lady, the saree it’s good to know the people and culture of the state..I googled it and the saree draping looks lovely and many more kidnapping and killing for something found there..I hope one day the land will get peace and relieve from the clutches of everyone who is the reason for unrest..
yes, assam deserves peace and amity. it’s been too long. love mekhlas, the two part drape of the region… saree like but not saree. am merrily buying some these days.